Sturgeon might be the coolest fish ever. They fight hard, grow large, and are relatively hardy fish that can survive being caught repeatedly when handled properly. Some of my favorite fish to chase are White Sturgeon in the Willamette and Columbia Rivers. On a good day, you can even caught 10 or more of these monsters, but without the proper gear, you’ll wind up disappointed and sore. Not to mention, you can damage the fish by using too-small gear. Avoid that by using these items below. Big fish or big water? Use Power Pro Braid – 100 lb. For leader use Dacron – 100 lb for pressured fish and Fluoro – 100 lb if not. Smaller fish or small/still water? For leader use Fluoro – 60 lb. 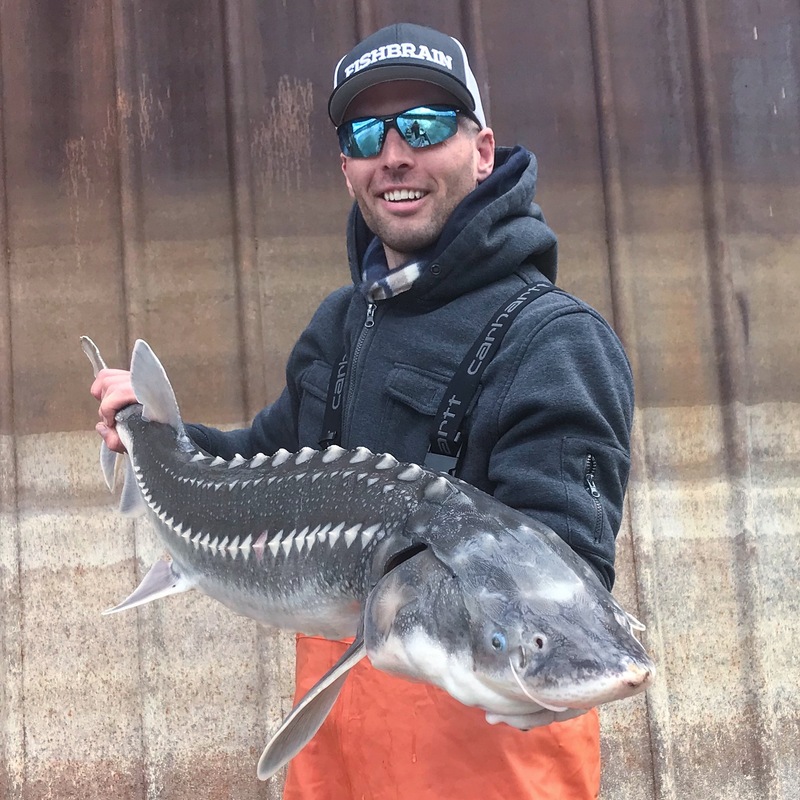 Most of the time, you won’t net sturgeon, but if you happen to catch a small one and decide to use a net, make sure it’s big and tough. Need a great big net? Use an RS Nets King Landing Net. Fishing for sturgeon to 7′? Use Owner 7/0 Circle Hooks. Use Owner 9/0 Circle Hooks. Heavy-duty swivels are a necessity for sturgeon fishing. Sturgeon are not gear shy, so err on the side of massive. Also, don’t use snap swivels unless you want fish to break you off.